The manga follows Ami Kurata, a first year college student with no special qualities. One day she happens to notice someone riding a folding bike, immediately falls in love with it, and uses all her savings to buy one. 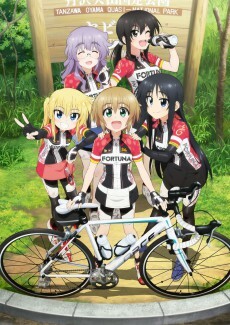 She eventually gets introduced to the world of long-distance bicycling and road racer bikes, and she forms a cycling team called Fortuna with four other female college students from the same school. Their goal is to ride in a "brevet" or long-distance event called "Fresh."